Assoc. Prof. Ludek Hyncik, Ph.D. is the Director of the New Technologies – Research Centre and the Associate Professor at the Faculty of Applied Sciences of the University of West Bohemia. He graduated at the University of West Bohemia in 1998, got his Ph.D. in 2002 and concluded his habilitation in 2014. His expertise is in impact biomechanics, mechanics of discrete systems, finite element methods and particles method. During his studies he spent a semester at the University of Hull and passed stages in the ESI Group. From the beginning of his scientific career, he focused on virtual human body models, useful for injury analysis related to vehicles impact. In this field he assembled a team of students and young researchers and later founded the Department of Human Body Modelling and Monitoring at the New Technologies – Research Centre of the University of West Bohemia. He investigated many national and international projects in cooperation with both public institutions and industry. He is in close touch with domestic and foreign students who deliver expertise within the subjects, via bachelor, master and Ph.D. theses. He led the Department of Human Body Modelling and Monitoring for five years until he was appointed as the Director of the New Technologies – Research Centre in 2015. 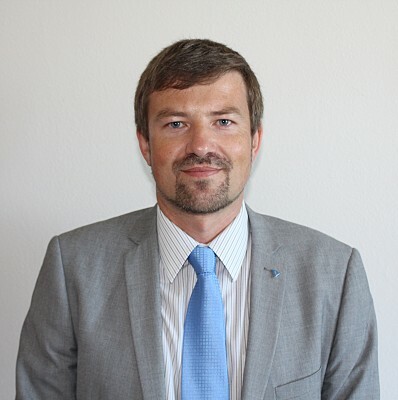 He is also active in public sector, where he is the Chairman of the Advisory Board of Techmania Science Center, Vice President of the Czech Automotive Society, Board Member of the Czech Society of Biomechanics and is active in many regional, national and international commissions.